Shaun Tan grew up in the northern suburbs of Perth, Western Australia, and currently works as an artist, author and film-maker in Melbourne. Books such as "The Rabbits," "The Red Tree," "Tales From Outer Suburbia" and the acclaimed wordless novel "The Arrival" have been widely translated and enjoyed by readers of all ages. Shaun has also worked as a theater designer, feature film concept artist, and wrote and directed the Academy Award-winning animated short "The Lost Thing." In 2011 he received the prestigious Astrid Lindgren Memorial Award in Sweden for his body of work. His most recent publication is "The Bird King." 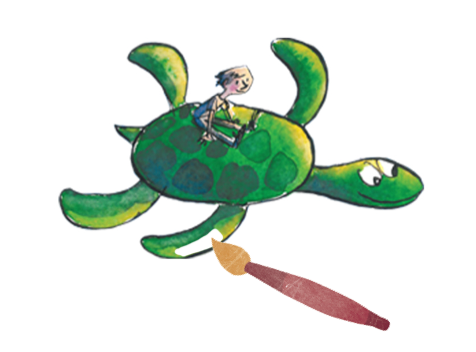 Shaun will be giving a Keynote address the Saturday February 2, 2013 of the upcoming 14th Annual SCBWI Winter Conference, titled "Internal Migrations." I was so fortunate in this interview with Shaun to ask him about working in the magical space "between familiarity and strangeness," find out what he does when he has a creative emergency, get his advice about endings that resonate, and so much more! I'm in awe of his work, and now I'm even more excited to see Shaun speak in person! How about you? 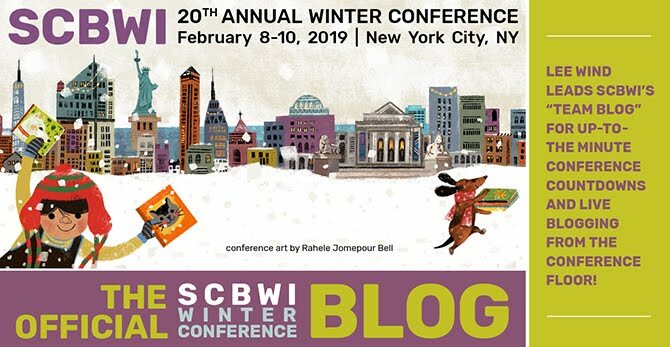 There are a limited number of spaces still available for the Saturday and Sunday of the 2013 SCBWI Winter Conference (the Friday intensives have sold out.) You can find out more details and register here. Matthew Kirby is the award-winning author of The Clockwork Three, Icefall, and book five of the forthcoming Infinity Ring series. He was named a Publishers Weekly Flying Start, and has been nominated for the Edgar Award, the Agatha Christie Award, and won the Parents’ Choice Award Gold Medal. He'll be on faculty at the upcoming 14th Annual SCBWI Winter Conference in New York City, February 1-3, 2013, presenting as part of the sold-out Friday intensive ELEMENTS OF THE NOVEL: A WORKSHOP FOR WRITERS, giving a talk titled: "Form Not Formula." In this excellent interview with Matthew, Jolie Stekly found out about his shift from writing for adults to writing for young people, how Ursula Le Guin has influenced him, and gets Matthew to describe the best and worst parts of his writing process. There's even a quote from Richard Peck! While the Friday Intensives are sold out, there are a limited number of spaces still available for the Saturday and Sunday of the 2013 SCBWI Winter Conference. You can find out more details and register here. 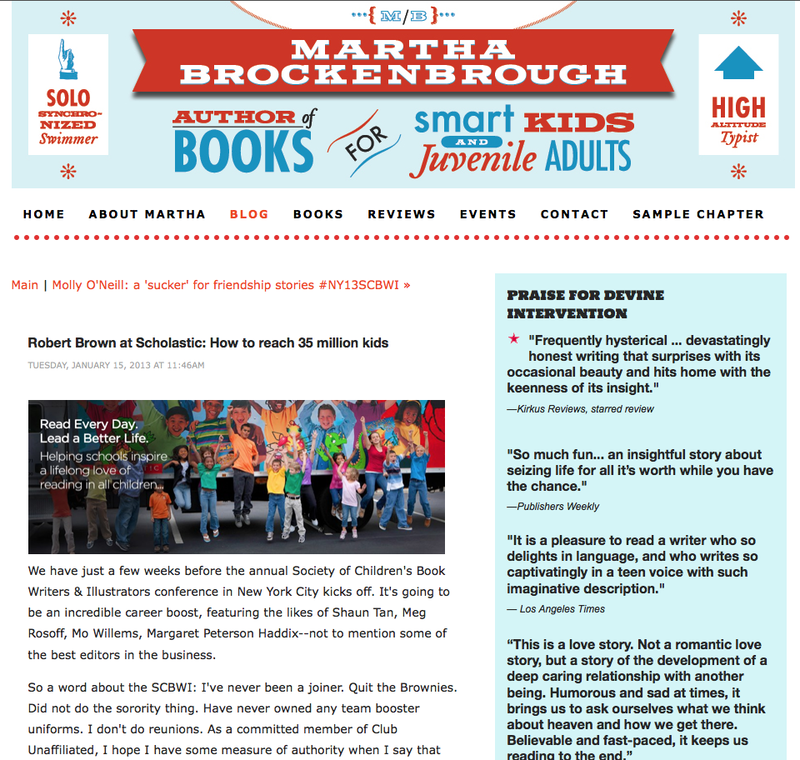 Robert Brown is National Sales and Program Manager at Scholastic Book Fairs. In 1987 Bob founded Cornerstone Books, Incorporated (d/b/a Books, Bytes & Beyond), located in Bergen County, New Jersey. He joined Scholastic Book Fairs in August 2012. A graduate of the University of Virginia and Dartmouth’s Tuck Business School, Bob has a strong commitment to education, and a desire to help children become lifelong readers. Bob will be on the Saturday morning (February 2, 2013) Bookseller's panel with Mary Brown, owner, Books, Bytes and Beyond; Jon Fine, Amazon.com, and Peter Glassman, owner, Books of Wonder. They'll be talking about "What's Selling?" 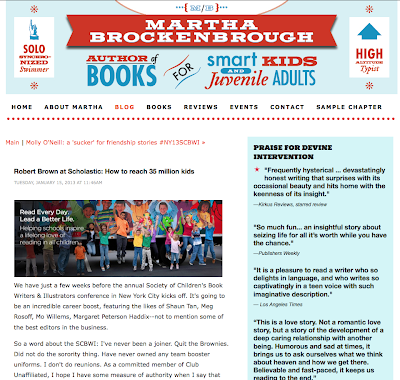 In this interview, Martha Brockenbrough finds out more about Bob, what sells best at the book fairs, and how Scholastic Book Fairs manage to reach 35 million kids and their families a year! After the Saturday Night Gala, come to the Illustrators’ Social to meet fellow illustrators, share your insights about the conference and to give us your feedback! Hosted by the SCBWI Illustrators’ Committee: Priscilla Burris, Pat Cummings, David Diaz, EB Lewis, and Cecilia Yung. 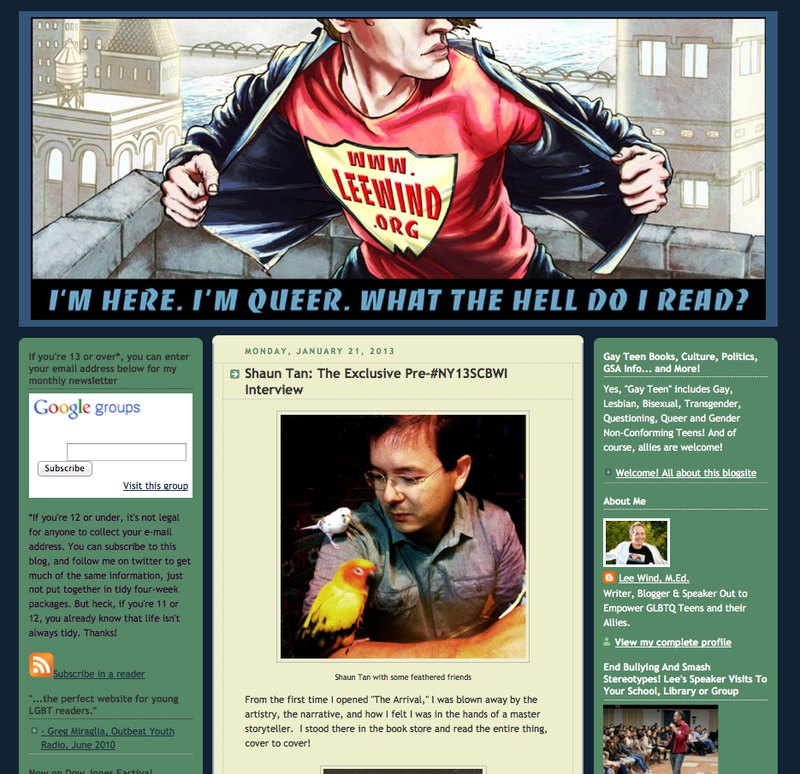 At SCBWI’s 2008 Summer Conference in Los Angeles, a group of editors, agents, and authors interested in LGBTQ publishing met informally to chat about the submission process, who is interested and what types of stories they are interested in. We’ve continued this conversation at each conference since. Maybe you’ve written a book about or for gay, lesbian, bisexual, transgender, gender non-conforming or questioning youth; maybe you’re interested in doing so, and you’re just not sure where to begin; maybe you are just curious to learn more about this vital corner of the market for young readers. Whatever your interest in the subject matter, all are welcome. Bring a friend and any questions you may have. The event is hosted by SCBWI Team Blog’s Lee Wind (your blog host here) and features special guest Jane Yolen, author of almost 300 books for children and teens. For more information on Jane and her incredible and inclusive books visit janeyolen.com. If you are new to the SCBWI, or if this is your first conference, come to this social and make friends. 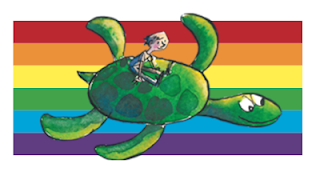 One of the benefit of SCBWI is participating in our warm and inclusive community, so take this opportunity to dive in. It’s held after the Saturday Night Gala, and hosted by several of the friendliest SCBWI Regional Advisors you’d ever hope to meet! Join the tribe, become part of us! Each of these socials should be amazing! And while the Friday Intensives are sold out, there are a limited number of spaces still available for the Saturday and Sunday of the 2013 SCBWI Winter Conference. You can find out more details and register here. 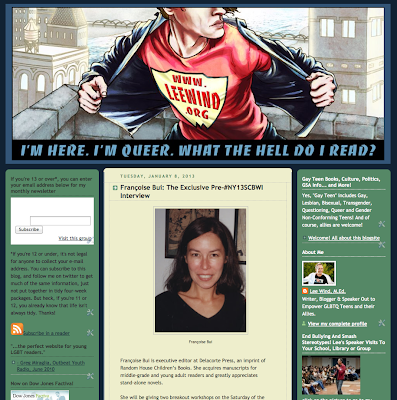 Françoise Bui is executive editor at Delacorte Press, an imprint of Random House Children’s Books. She acquires manuscripts for middle-grade and young adult readers and greatly appreciates stand-alone novels. She will be giving two breakout workshops on the Saturday of the upcoming 14th Annual SCBWI Winter Conference in New York City, February 1st-3rd, 2013, WHAT HOOKS ME. In this interview with Françoise, we discussed first lines, voice, comparing your manuscript to famous movies (and whether or not that's helpful) and she even shared her karaoke song of choice!